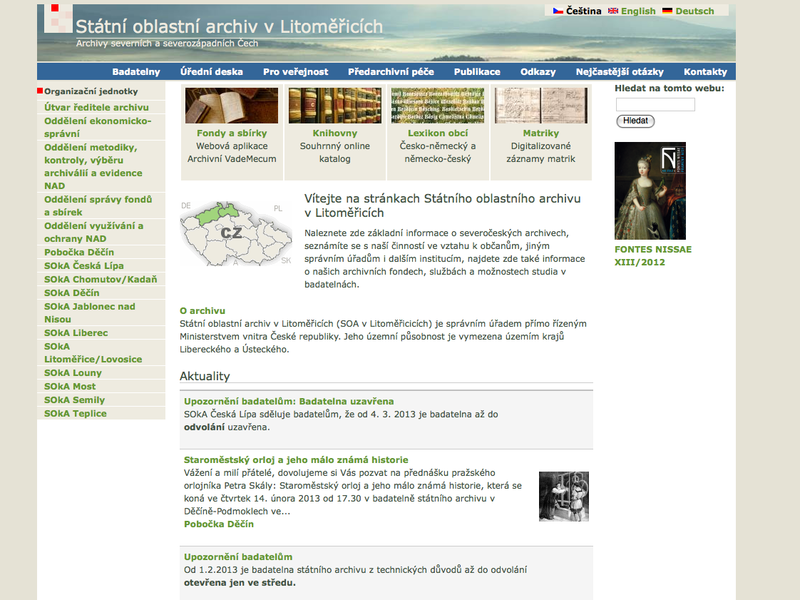 Multilingual website (Czech, English, German) for the State Regional Archives Litomerice, a state agency overseeing a network of local branches. Built in Drupal, it provides editorial access for the central project head as well as for translators mirroring content. The site interface incorporates third party software for conducting searches in the archives' collections and serves a broad international customer base.